If you like the Farmers’ Market ‘Dilla, you’ll love how our customers have changed it up to make it one of our secret menu items. It’s secret time and we’re spilling the beans. Our loyal customers don’t always order from our menu but have created secret menu items they love. 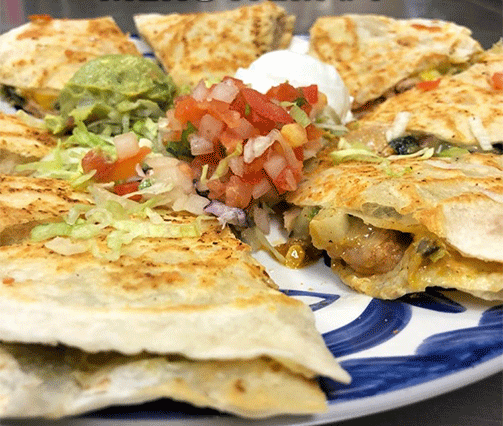 While Chevys’ regular menu is still amazing and delicious, we want to share with you a few ‘hush hush’ secret menu items for our Chevys fans who can’t get enough. There’s more to come, but for right now check out these two secret menu items. Have you noticed that the best foods always seem to come prepared in fun shapes? Our Farmer’s Market Quesadilla is filled with artichoke hearts, sun-dried tomatoes, mushrooms, poblano peppers, sautéed spinach, roasted red potatoes, melted jack cheese & habanero-pesto cream sauce in a parmesan crusted tortilla. But, what’s the secret you ask? It’s the addition of the salsa chicken. Trust us, it makes all of the difference, and it’s even better when you pair it with a Margarita. 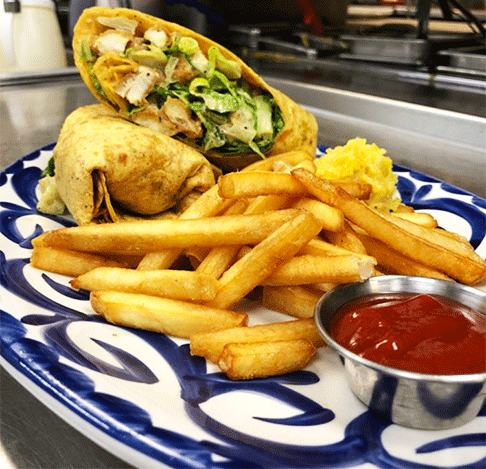 You might not have seen this one coming because Chicken Caesar Wraps aren’t typically considered a Mexican dish, but we like to keep you on your toes! So, on the off chance that you’re not craving an authentic Mexican item tonight, you can always order a delicious Chicken Caesar Wrap off of the secret menu. And, we’ve added a little more flavor with our crispy, seasoned chicken tenders. Not to mention, your wrap comes with fresh french fries. We hope you enjoy ordering and eating a few items that are not seen on our traditional menu! And, while the secret menu may not be such a secret anymore, you can be sure that not everyone knows what you know. Just say the “magic word” and your wish is our command. But, of course, there’s no shame in sticking to your regular order on the Main Menu. Do you have other secret menu items we should add? Let us know the next time you order and tag us on Instagram, Twitter, Facebook, or Pinterest.